Recently I’ve heard bitter words from friends over their loathing of Christmas. It’s the usual argument… Christmas is nothing more than a commercial production, an economic engine spinning out of control, sucking up precious time and burning up limited resources just to oblige a season manufactured to artificially stimulate the imagination of fools, the hearts of the hopeless and the ravenous greed of enterprise. Worse, they say, everyone expects them to participate. 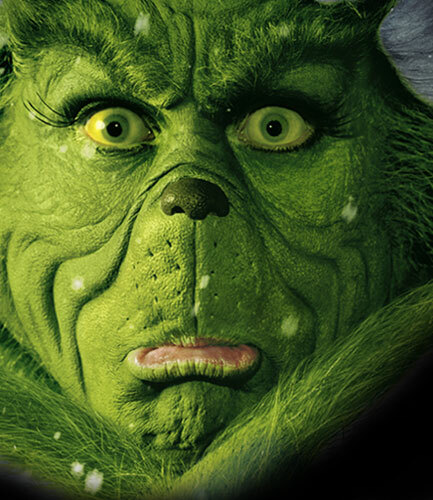 Not the classic bah-humbug of an Ebenezer or the frigid heart of the Grinch, but the specter of the season still chills more than a few souls. These folks resent expectations foisted upon them by those who revel in a season of tinsel and treats. True, it could be argued that Christmas is a collective conspiracy spun from fables and clever marketing that somehow became twisted into a reality of fantasy and expectations. But what is Christmas really…is it clever marketing, or the moral of three kings bringing gifts to a babe in a manger? Do you remember…how long did you suspend belief to indulge adults in their fairytale conspiracy? When did the Santa Clause lie reveal itself like a poorly hidden toy? Were you resentful or did you manipulate the game to your advantage? And what now that you wear adult clothes…does a child still lurk close to the surface to emerge on cue with fancy lights and ancient carols, or is your child buried under years of bitter resentment? We were all innocent children once, ripe with imagination and grand dreams that were manipulated and betrayed by adults who supposedly loved us? And now the seasonal lie assumes our obedient participation, and expects us to continue the illusion with family. No wonder people are pissed…yes, Christmas lied! For the record, I appreciate Christmas. I relish a tradition that raises the standards for humanity and makes us conscious of how we treat one another. I also appreciate fables that bring magic to the world of children, regardless their age. What I did was start my own tradition: twelve gifts of Christmas. I make a list of four things I love; four people I love and four things I am grateful for. You are welcome to share your list as a comment. If you’re even a little bitter over Christmas, it’s guaranteed to take the edge off. I’m not bitter about Christmas. I love this season. Yes it’s true that you can get caught up in the fast pace race and the pressures to buy buy buy. But I don’t. I don’t go to malls during Christmas, at least not intentionally. Sometimes I slip through on my way to and from a Skytrain station. A few years back, my family made the decision to NOT buy gifts for each other. We do have fun with goofy little trinkets sometimes. What’s left are opportunities to get together and have a great meal together and to just be with each other and celebrate each other. I love Christmas. Of course, as a musician there is seasonal music to be played. I love that too and Howard and I play mostly older ancient tunes that stir up the magic and wonder of older more slowly paced Christmas traditions. Thanks Craig, sounds like Christmas from the heart. As always I enjoy your eloquent writing. You have an amazing gift with conveying ideas through words so well written. I share the same sentiments about Christmas and glad not everyone is buying into it. Keep sending us your good stuff! !